Four miles south of historic downtown Chandler at the northwest corner of Arizona Avenue and Queen Creek Road is Carino Villas, a gated community of condominiums. 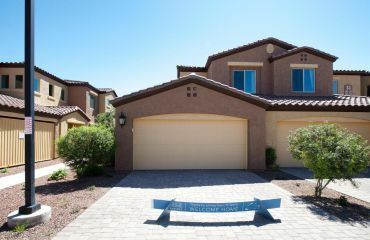 There’s so much to love about Chandler—from the central location with easy access to Arizona’s scenic wonders and attractions to the acres of parks. Carino Villas is walkable to retail shops, grocery stores, restaurants, and more. Homes here are designed with the emphasis on quality for which Shea Homes is known. Kitchens feature slab granite countertops and beautiful cabinetry. Bathrooms are nicely appointed. Closets are spacious. Ranging from approximately 1,313 to 1,935 square feet (with four floorplans—two lofts, two flats), Carino Villas are perfect for first-time homebuyers, empty nesters, or anyone in between.